turn right, turn left, straight on, over, under, next to (beside), pass e.g. Introduce city vocabulary to students and ask random questions: Where in our town is a traffic light? Do we have a round about? Where is the nearest cross road? e.g.. 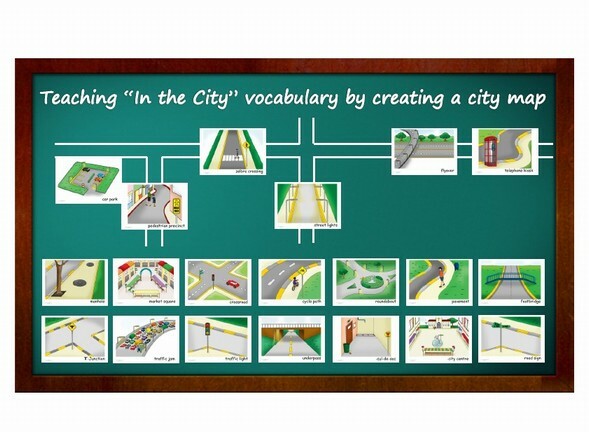 Draw a map on the board using city vocabulary. Ask students for directions e.g.. How to get from the car park to the telephone kiosk? Turn right - go straight on - pass the t-junction and the zebra crossing - go straight on at the crossroad - go under the fly over - the telephone kiosk is on your right side e.g.. 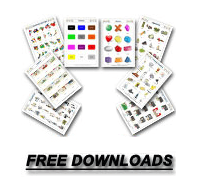 Which one is missing - Show and teach students several new vocabulary words using the pictures. Then remove one or two from the set, and see if students remember the word, the spelling or how to use it in a sentence.